I still remember the first time I truly started to grow a beard. Although it was a bit scraggily at first, I thoroughly enjoyed the manliness of it. But as I loved the manliness factor, it drove me insane. If I recall this correctly (after all it was 10 years ago), I shaved it off once it got only a few months old. Not because I didn’t actually like it any more, in fact I loved it. But the beard itch was just too damn much to handle. My guess is that if you are reading this, you are probably at that same point (or about 2 weeks from) deciding whether you need to break stride with your beard and shave it completely off or see if there is a solution. After a bit of experience in helping out other bearded men over the years and seeing great success, I wanted to put together a list of a few quick tips and tricks you MUST follow in order to get rid of that beard itch. And before you ask, no we don’t own a beard company or have products of our own that we are trying to hawk to you. These are just simply the solutions that WILL WORK in order to COMPLETELY GET RID OF BEARD ITCH once and for all! 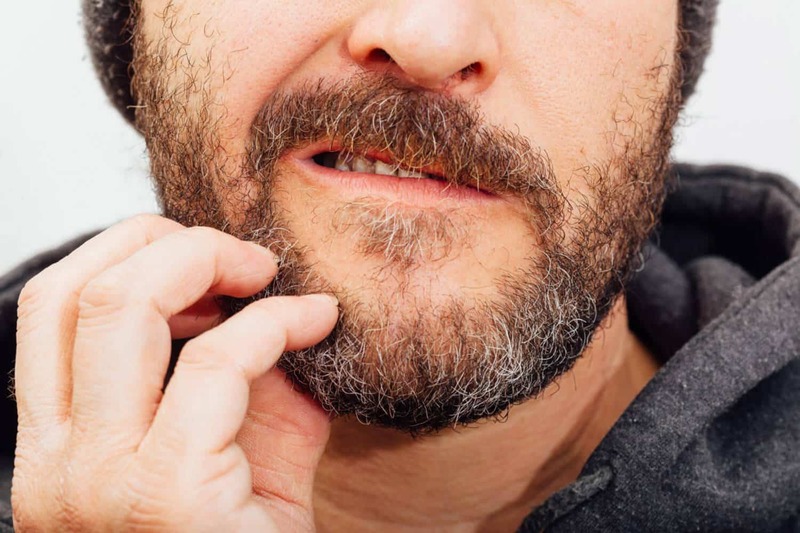 So, the reason why your beard is itching so much is for a few reasons as we will go over throughout the course of this article. But one of the biggest culprits right off the bat is the regular use (or lack thereof) of a shampoo or soap. Shampoo that you use on the top of your head is NOT suitable for the naturally coarser hairs on your face. If you check your shower stall, chances are high that you have a bottle from either a big brand or designer shampoo that has some harsh detergents and fragrances in the bottle. When used on your beard, these shampoos will do a terrific job at stripping away the oils. But unfortunately, it does a little too good of a job. In fact, a shampoo will not only clear out the dead skin cells and other pollutants that may have been caught up in your beard throughout the course of the day, but it will completely remove all the natural sebum oil deep within your pores as well. Get a shampoo designed for your beard. Likely unavailable at your corner store, beard washes or shampoos are carefully designed from the ground up to both lather and gently clean your beard. This means that instead of your beard feeling dry, itchy, and crunchy a few hours after you get out of the shower, a regular (every other day) use of a beard shampoo will make for much softer and well hydrated beard and skin. Just be sure that when you do shower, that you generate a rich lather and rinse all remnants of the beard wash completely out. This means separating the beard follicles and letting the water go through it until it runs clear. Many manufactures that sell beard washes also normally sell a conditioner. Conditioners will often fortify the hair cuticles ensuring that your beard feels much softer and looks a bit shinier (not greasy). Secondly, they will normally also contain many natural oils such as jojoba, argan, sweet almond and others. These all together will help to develop a rich cocktail that will allow your beard to truly shine while completely mitigating the occurrence of beard itch within only a few days. Conditioners aren’t just for the ladies – invest in one, you will be glad you did. Pro Tip: Whether your beard is 1” or 12” in length, be sure that you pat dry once you get out of the shower. Rubbing your beard dry can cause breakage and unnecessary irritation (which could then turn into an itchy beard). 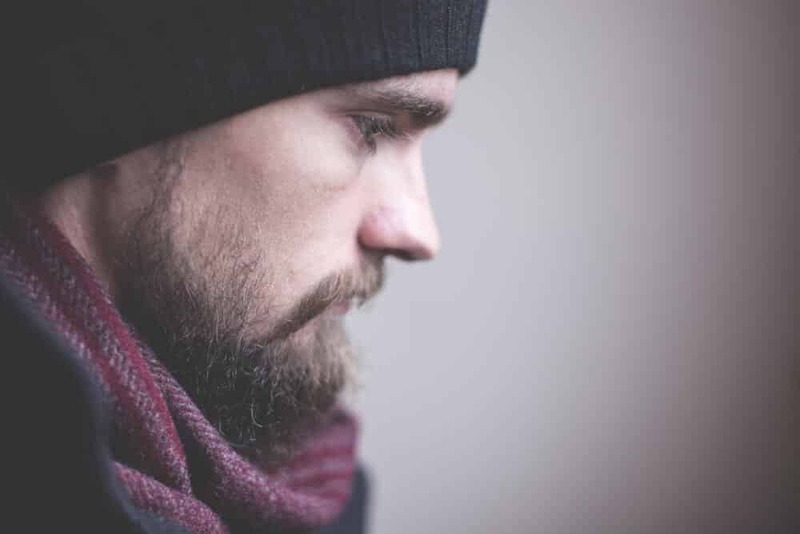 Whether it’s a beard oil, beard balm, or beard butter – you NEED to incorporate one of these products if you want to get rid of beard itch in only a couple of days. While properly washing your beard is CRITICAL to proper beard health and to completely nix that annoying itch, we cannot stress enough the power of a moisturizer. Moisturizers come in three main varieties – beard oil, beard balm, and beard butters (although we often combine beard balms and butters into the same family since they have identical ingredients – just at different ratios). You are probably scratching your beard right now wondering why you should care about a moisturizer. Beard oils and balms are simple products with a clean ingredient profile. All of these ingredients play a key role in eliminating beard itch – with carrier oil and butter being the most important. When applied at the base of your skin and along the beard follicle, they will assist your natural sebum oil at hydrating your skin and keep your beard feeling both soft and more importantly itch-free. You should apply beard oil either daily or every other day. If you have a bad case of beard itch right now, then apply for the next three days to quickly remove the irritation. Work into beard fully starting at your skin and working outwards along your beard. Balms and butters do tend to work better for men who live in extremely dry climates. However, beard oils can be nearly as effective. 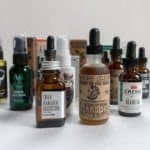 Check out our reviews of the best beard oils and conditioners in this article here, and the best beard balms over here. If you are a bit more frugal of a guy and don’t want too unwieldy of a beard (after all not every man likes eating their beard while they are munching on food), trimming is a great way to help reduce the beard itch. The sole reason for the beard itch occurring in the first place is the lack of moisture on your skin. Longer beards require additional moisture (i.e. sebum oil or beard oil). 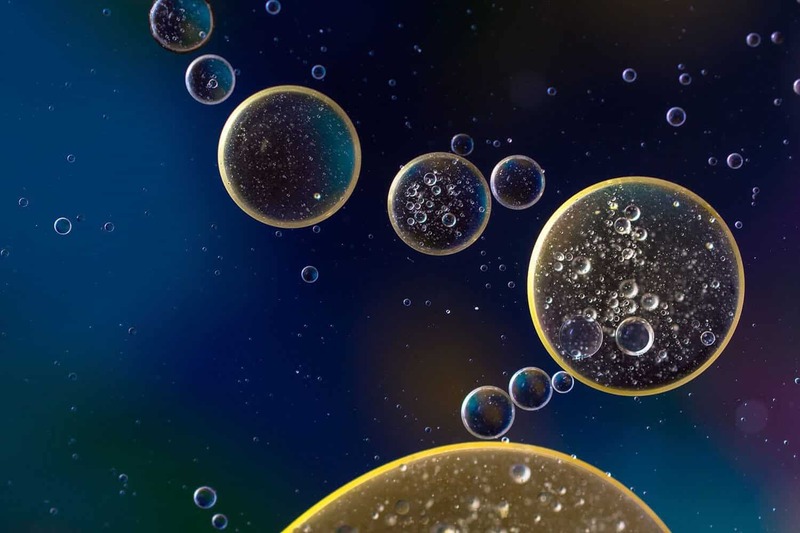 Unfortunately, your body produces only a finite amount of sebum oil in any given day. Therefore, if you keep your beard shorter and more kempt, there will less stress on your sebaceous glands (the gland responsible for making sebum oil). Of course, you still will want to cover all the basis we covered so far, but this will at least be a quick fix if you aren’t going for a longer beard. Beard combs are great for styling, there is no denying that. However, when it comes to trying to remove beard itch, we would recommend selecting a beard brush instead. Beard brushes are completely unique in their own respect than a brush you might have used before. Developed from a boar’s hair, this natural fiber will really shine when used in tandem with a beard conditioner like beard oil or beard balm. The reason being, is that unlike plastic or even vegan fibers found in some other more popular brushes that you could use on your head, a natural fiber boar’s hair bristle brush will trap the oils and help spread them evenly along the length of your beard. Therefore, if you apply beard oil and balm to the base of the follicle along the skin, the brush will help pull down the product along your beard shaft to fully coat the cuticles on your hair. Your beard will be fully moisturized in a much more effective manner than if you simply used your hands or comb. Your beard will also be much softer as well – making for a better touch for you and your significant other. A good beard brush will also train your beard follicles to grow in a uniform direction. While visually this will make your beard look about 1,000x better than if you weren’t brushing it, but it will also get those hairs that are itching your skin away from the surface making for increased comfort. Like many beard products, they can be a bit tricky to find in stores. 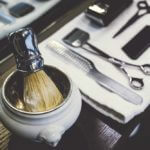 So, after you are done reading this post, we would recommend that you check out this article where we serve up some quality beard brushes that will last you a lifetime. As the saying goes, garbage in garbage out. If your diet is less than stellar (don’t worry, your still awesome), your beard and skin will suffer. It’s funny, if you read any skincare article you will often see that water is key for a healthy skin (after they tried to sell you on countless products), and the same rings true here. Water will help your skin look younger and fuller. But beyond just chugging some water, you also need to be getting the key vitamins and minerals throughout the day to ensure healthy beard growth. One of the key vitamins you need to look out for when it comes to your beard, is Vitamin B7 (also known as Biotin). Found in a ton of protein rich foods including meats, nuts, eggs, etc. this vitamin has a direct impact on hair health. Now if you aren’t getting enough in your daily regimen, a simple daily vitamin will suffice as will a beard growth vitamin. It’s important to note that Vitamin B7 is water-soluble. Therefore, if you ingest excess amounts of it, it won’t directly correlate to increased or healthier beard growth. Instead you will simply excrete unused vitamin through your urine. This solution is geared towards men aiming for a long-term healthy beard. Secondly, regular sleep and exercise will also do wonders for your overall health, let alone your beard. So make sure you are trying your best to get some rest! We don’t change out our pillow cases often enough (do you remember the last time yours was changed – I don’t?!). 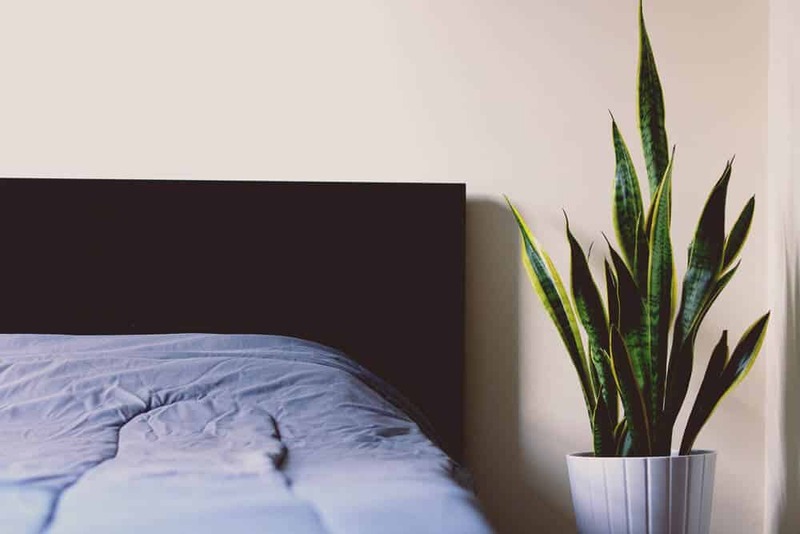 Chances are that if you were to check the pillow cases of any men reading this article right now, you are likely to find drool on their pillow case – so fear not, you aren’t alone. However, it has been recommend in countless beard forums that regularly changing out your pillow case can be good for beard health. This sounds insane, I know. But given that we men never change it out that often, it’s going to be a magnet for dead skin cells and other pollutants you have been carrying in your beard throughout the day. And when you slide into those covers and rest your head on the pillow (even after a shower), you are recoating your face with all this stuff, which in turn, creates beard itch. So, get into the habit of washing your pillow case weekly. After all, you wash all your other clothes after a day (or two) of use…right!? If you follow all the steps above, within three days you will completely get rid of any beard itch and feel like a new man. Remember guys, regular washing of your beard with a beard wash and applying a quality beard oil thereafter will work wonders to increase both the overall comfort and look of your beard. If you are looking to have the best beard in the office – you NEED to follow these steps.